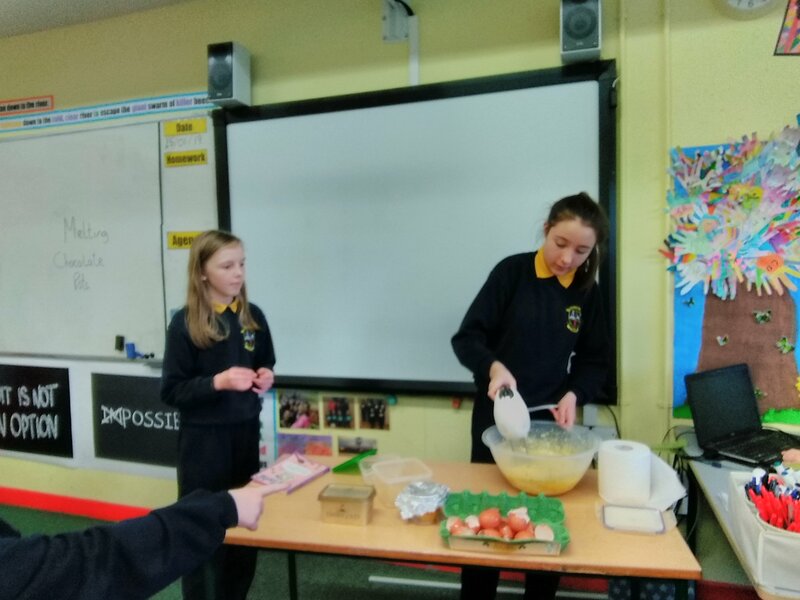 Baking Buns: This week Niamh did her student lesson. We baked chocolate buns and it was lots of fun. We used eggs, chocolate, flour, sugar and butter .We got to crack the eggs and pour in the flour and sugar. We went down to the staff room to put the buns in to the oven. They were really nice and we had lots of fun making them!!! 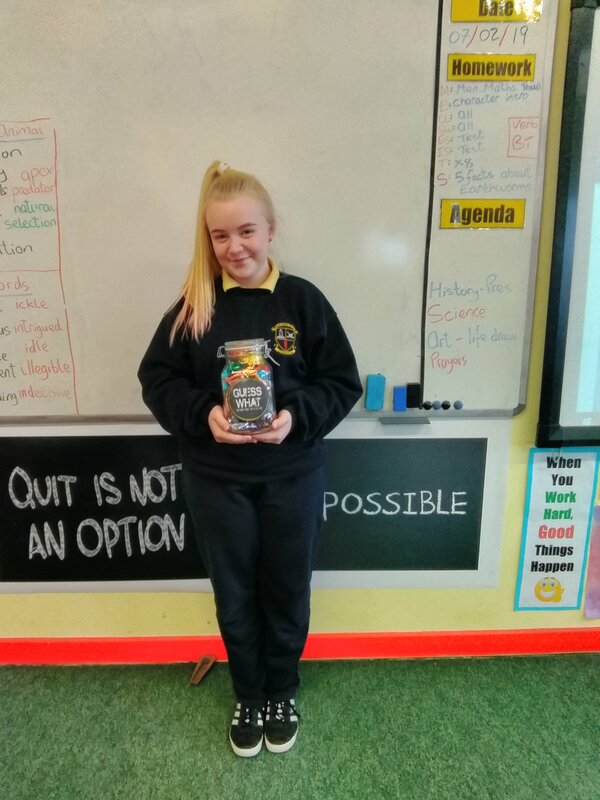 European union:Luke Ming Flanagan came to our school he told us about the European union and his opinion on Brexit and ways he hoped to help Ireland. It was lots of fun and got to ask him lots of questions about the European union. 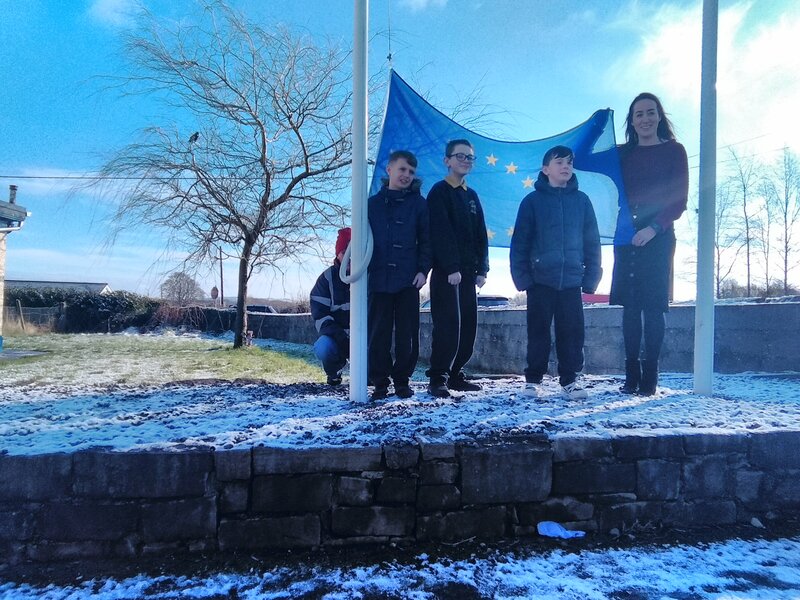 Afterwards we got to taste food from all over Europe at 4th class’s food fair and they put up the European union flag at our school. Guess What Draw: This week Kelly won the guess what draw. We are really jealous. Kelly won with the lucky guess of 146. Kelly got a load of different kinds of sweets. We really hope Kelly share’s all of her sweets with us!! !